Continuing the theme of borrowing creative insights from other worlds, on Sunday we went to watch the hilarious Reduced Shakespeare Company’s ‘The complete works of William Shakespeare – abridged’. The premise of the show, which has been around in various formats since the eighties, is to present abridged versions of all Shakespeare’s plays in just 97 minutes. And of course to do so an entertaining way. It was a fantastically funny show, performed by just three very talented actors using comedy, songs, slapstick and audience participation to summarise the plots and main characters of every one of the Bard’s plays. The previous day I took my daughter on a tour of the CBBC studios in Media City in Salford. We saw the set and props of Horrible Histories – the hugely successful series designed to teach children about history through comedy sketches … and lots of poo and puke jokes. I mention these two experiences because they are superb examples of using humour to engage and educate. Strip out the theatrical context of the Reduced Shakespeare show and you have the concept of communicating a complex and detailed topic in an abridged form in a way that’s engaging. Strip out the production side of Horrible Histories and you have a sure-fire method of engaging a very discerning audience with a subject matter they wouldn’t otherwise show an interest in. These are issues we communicators struggle with every day. So what can we learn from the world of entertainment? I love the idea of abridging a company strategy or business update and turning it into a ‘performance’, with humour and interaction. I love the idea of selling it as a serious presentation but with the word ‘abridged’ splashed across the title to draw the audience in. I love the idea of communicating serious messages through sketches and satire. In short, I love the idea of turning serious business information into comedy. Very few organisations are prepared to do this. The leap of faith is too wide for some to contemplate. Of course, in global companies, humour is notoriously difficult to get right, but in a local context it can be so powerful. We all like a good laugh and I so wish more companies would see the funny side of business. Laughter brings out the best in people and it’s a proven method of getting messages to stick. A whole generation of children in the UK know about the (Terrible) Tudors, (Vicious) Vikings and (Ruthless) Romans because of Horrible Histories. I’m off to see a heavy production of Hamlet at the RSC in Stratford on Saturday but I already know the plot thanks to the side-splitting abridged version I saw on Sunday. The message has stuck. I’m engaged and I have fond memories of how I was engaged. Isn’t that what we want from our communications? Try it out. Reduce your strategy. Abridge your operating model. And have a damn good laugh about it. PS – If you’ve successfully used humour to communicate a serious message, let me know about it and maybe we could feature your case study here on Creative Communicator. This entry was posted in Engagement, Laughter and tagged comedy; humour on April 23, 2013 by creativecommunicator. 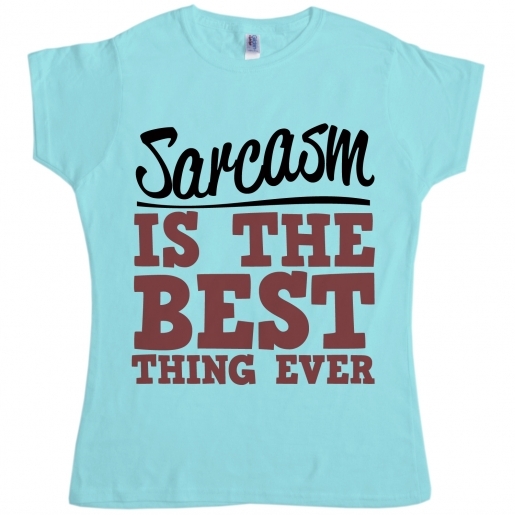 A recent paper published in the Journal of Applied Psychology points to the creative effects of sarcasm and the numbing impact of anger. An experiment with engineering workers found that those who witness incidents of anger, such as abusive customers or frustrated bosses, tend to focus their minds well on analytical tasks but are hindered by activities requiring lateral thinking and problem solving. On the other hand, workers exposed to sarcasm, such as a customer complaining about service being “as fast as a snail” or a co-worker offering high praise for bad work, tend to do better at creative thinking. The suggestion is that when confronted with angry situations, we concentrate hard on preventative measures, risk-aversion and fire-fighting so we don’t expose ourselves. Sarcasm, on the other hand, is less threatening and a form of creativity in itself – requiring the listener to make sense of abstract comments and look at things from different angles. Another bit of interesting related psychological research I’ve come across suggests that a funny incident in the workplace can have a positive cumulative effect on employee engagement and satisfaction by setting in motion a ‘Humour Wheel’. In the theoretical paper published last month, two US academics wrote: “Drawing on theories of humor and emotion, the Wheel Model suggests that humor-induced positive effect results in transmission of emotion to social groups, which in turn creates a climate that supports humor use and subsequent humor events”. To you and me this simply means ‘laugh and the office laughs with you.’ Humour is one of the most intense human emotions. It’s an inherently social phenomenon with positive benefits stretching from motivation and relationships to relaxation and wellbeing. As we all know, laughter is highly contagious; it spreads fast, even without context. You might start smiling simply by seeing someone else laugh, even without knowing what they’re laughing at. Our brains respond to laughter sounds in the same way as they respond to something funny. And in the workplace, one person’s laughter can remove cultural inhibitions and give others the permission to laugh too. We are still too stuffy about laughter at work, but there are signs that some organisations are at last taking fun seriously. A dose of sarcasm might not be a bad thing too. This entry was posted in Creativity, Laughter and tagged Sarcasm on October 5, 2012 by creativecommunicator. In 1940 Henry Ford sacked a worker for “smiling on the job”, having already committed a previous offence of “laughing with other fellows”. Ford’s belief that “play and work don’t mix” was the prevailing view then and for decades after. And although, 70 years on, we’ve come a long way, there still seems to be a bit of a reluctance to embrace the power of laughter and fun in the workplace. A recent Harvard Business Study says: “More than four decades of study by various researchers have proven that humour, used skilfully, reduces hostility, deflects criticism, relieves tension, improves morale and helps communicate difficult messages”. Laughing and playfulness exercises the right side of the brain. It releases creativity, builds relationships and generally makes people happy, and happy workers make productive workers. But still so many companies can’t make the leap of faith to actively encourage and facilitate fun as part of work. Many of those who do value fun will go no further than tolerating cakes on a Friday and the occasional quiz night in the canteen. How many big companies are prepared to go all the way and to really use humour as a strategic engagement tool? Of course, some companies do ‘play at work’ well, but in many industries, especially the traditional left-brain professions like law, accountancy and financial services, with their cold, ‘hear a pin drop’ offices, fun and laughter brings disapproving looks of unprofessionalism and immaturity. How can we break this and get employers to lighten up? Surely we could all benefit from taking work a little less seriously and not be labelled as uncommitted? Research has shown that people with a strong sense of humour do better in business than the stick-in-the-muds. So let’s see a sense of humour as a leadership capability. Let’s start recruiting people on their sense of fun. Let’s use comedy as a morale booster. Let’s play panel games and light-hearted exercises to embed messages. Let’s train line managers on the art of play and the value of laughter. Let’s invest in bringing Laughter Clubs into the workplace. Some people are allowed smoking breaks, why not tolerate laughing breaks? I’m serious. It’s worth remembering that children laugh 100 times a day. 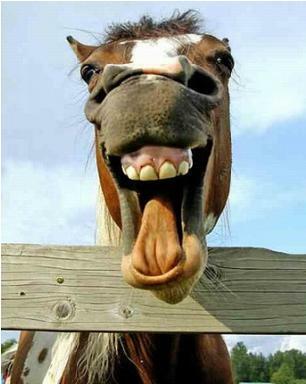 Adults laugh barely a dozen times a day. Funny eh? This entry was posted in Communications, Creativity, Friday Pitch, Laughter and tagged Fun, Laughter on July 6, 2012 by creativecommunicator.